It’s cold. It’s fizzy. It’s sickly sweet. It’ll make you grab your head in pain if you drink it too fast. It’s the Slurpee (or ICEE, depending on where you purchase it). These frosty concoctions came about one hot day during the late 1950s when Dairy Queen owner Omar Knedlik was desperate for cold beverages to serve. Omar was a World War II veteran and had a strong entrepreneurial sense. When he returned from the war, he used his military pay to purchase his first ice cream shop in Belleville, Kansas. Several business ventures later, he bought the Dairy Queen in Coffeyville, a city in the state’s southeast corner. 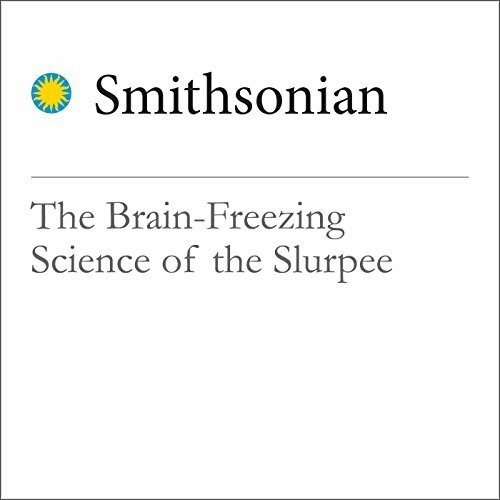 "The Brain-Freezing Science of the Slurpee" is from smithsonianmag.com, published on July 11, 2016. ©2016 Smithsonian Institution (P)2016 Audible, Inc.